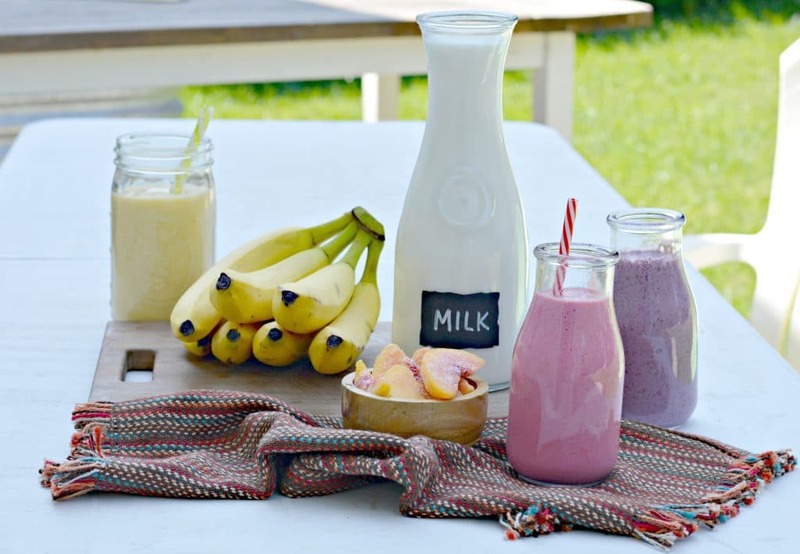 These three nutritious smoothie recipes are all made with delicious milk and taste great. They make for a perfect breakfast before school. In some of my previous posts I have mentioned that I grew up on my grandparents ranch in Mexico. I loved growing up there because there was always so much to do – from picking mangoes and avocados, to riding horses, and even to milking cows. My grandpa had so many different animals – cows, chickens, pigs, goats, and more. As a result, there was never any shortage of fresh eggs, meat, and best of all milk. I grew up drinking milk every day and I still love it today. 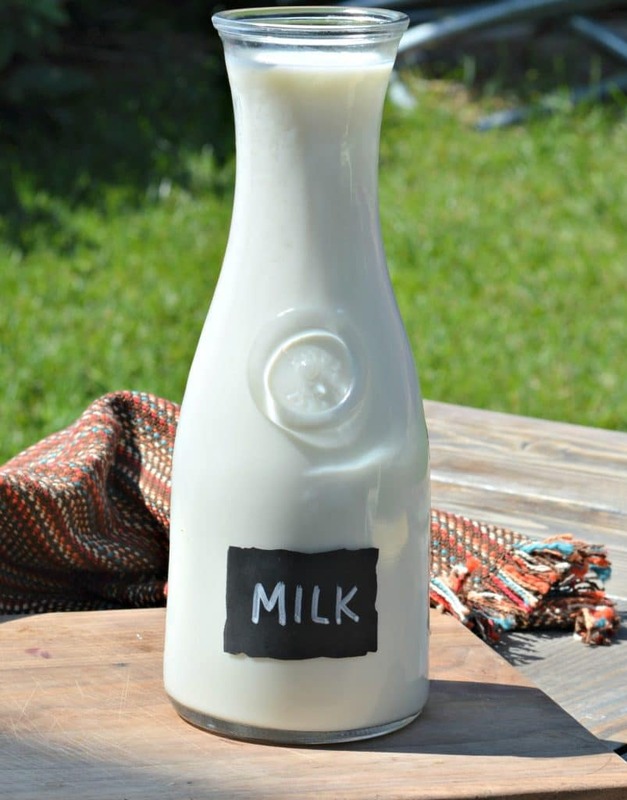 Milk is one of the original farm-to-table products. Growing up in Mexico it went from farm to table very quickly since we lived on the farm – but even now living in a big city, milk usually goes from the farm to grocery store within 48 hours. I am also trying to teach my little boys to love milk as much as I do. My two oldest boys ask for milk all the time, and I feel confident giving it to them. I know that it is a great way to give them the nutrition that they need. They are happy to just drink it plain, but I also try to switch it up sometimes by giving them some delicious smoothies in the morning before school. I love coming up with new smoothie varieties for my family to try. I try to include fruit, some type of seeds, and of course fresh, delicious milk. 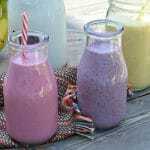 Today, I want to share with you all three different smoothies that my boys love and that I am sure you will too. You can always customize these based on your personal tastes, but these combinations have been a hit at my house. In addition to my recipes below, check out this website, Fuertesconleche.com, for even more recipe and information about milk. 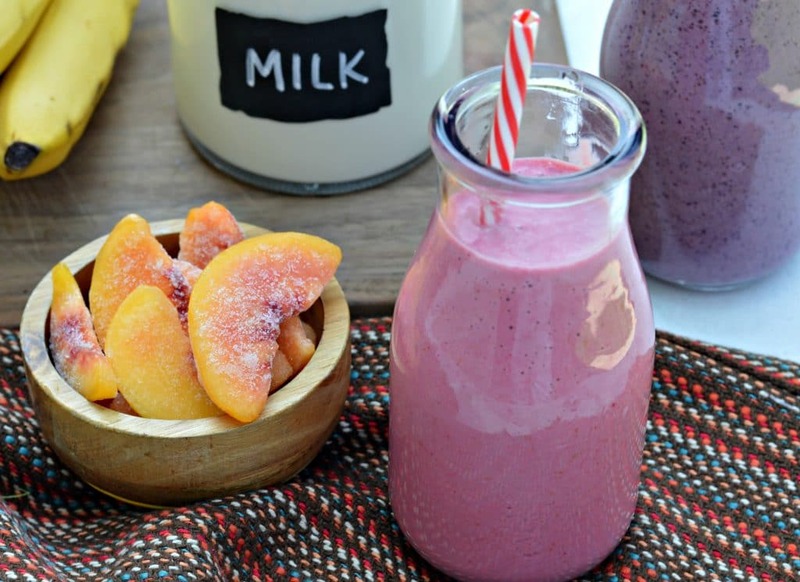 For each smoothie, add all of the ingredients to a good blender and blend until smooth. 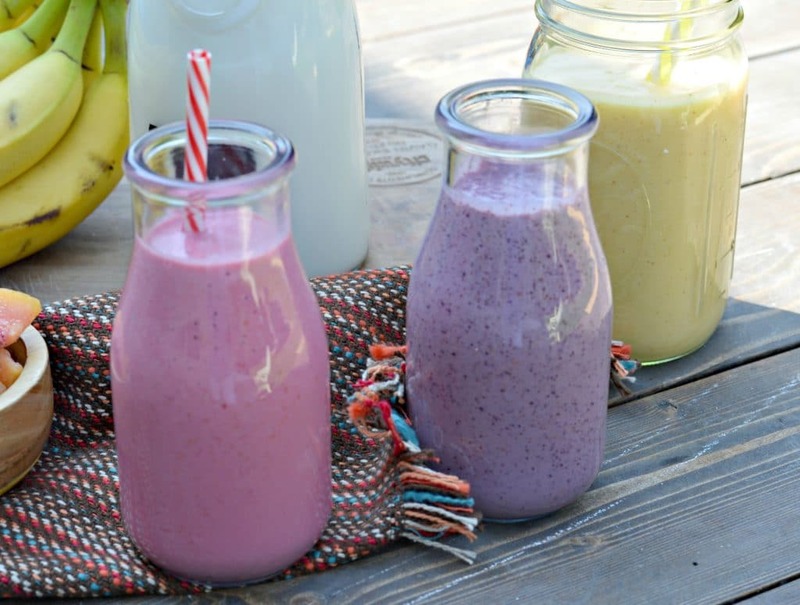 ** You can use frozen or fresh fruit for each of these smoothies.